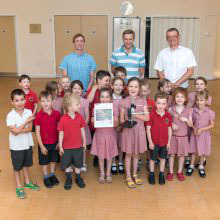 Thirteen primary schools from Cambridge and the surrounding area have participated in this year’s Science Image Award. The competition, part of the LMB’s Microscopes for Schools science outreach programme, aims to encourage scientific curiosity in children by connecting the microscopic world to everyday life. Each school borrows a hand-held digital microscope for two weeks and children take images of biological samples that they have collected – everything from insects to feathers to plants. The microscope can be used as part of schools’ Science Days and to support Key Stage 2 science topics, and schools then submit their top ten images to the competition. An amazing selection of images was entered into this year’s competition and the task of judging them fell upon Brad Amos, emeritus scientist at LMB. Brad is a creator of the mesolens, a unique microscope with a giant lens that can examine thousands of cells and the detail in each cell at the same time. Brad judged the competition entries based on their quality and originality, without knowing the identity of the schools involved. It was decided that the winning image was ‘Leaf skeleton’ from Histon & Impington Infant School, with Brad commenting that, “the leaf skeleton was well observed as being worth photographing, and was well lit and mounted, successfully keeping everything in focus”. 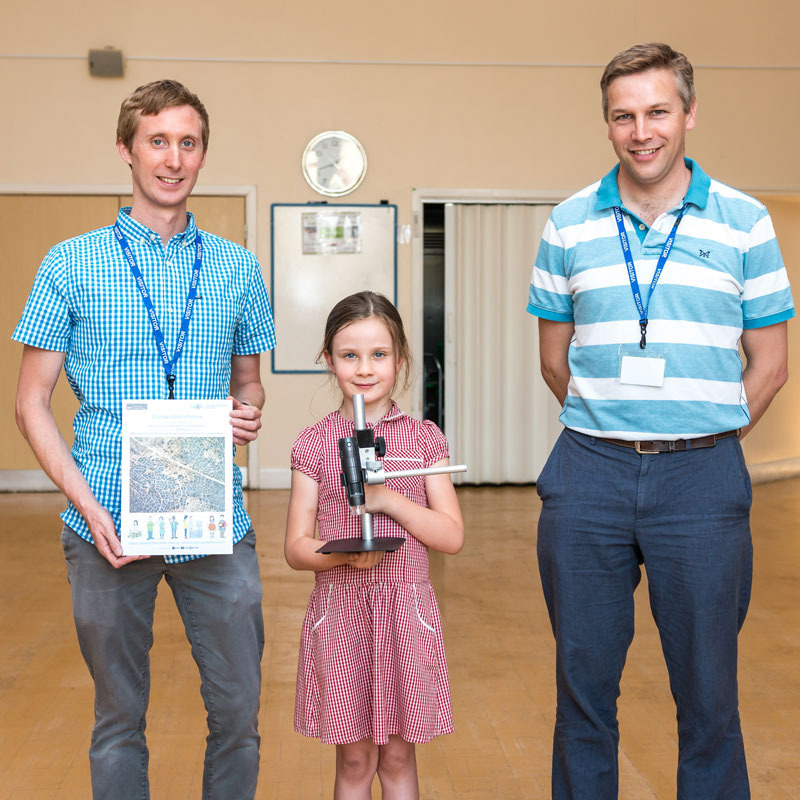 Organisers of the Science Image Award, LMB scientists Simon Bullock and Jon Howe, went to Histon & Impington Infant School to award the first prize – a digital microscope kindly donated by the competition sponsors, Brunel Microscopes Ltd. 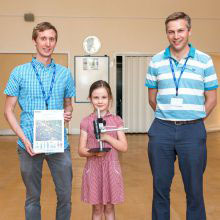 The third prize, five wooden microscopes, went to The Bellbird Primary School for their ‘Mayfly’ image. Overall, over 400 children participated in the project and they will all be receiving special certificates to recognise their efforts. Simon said, “Typically children don’t get to use microscopes until secondary education. 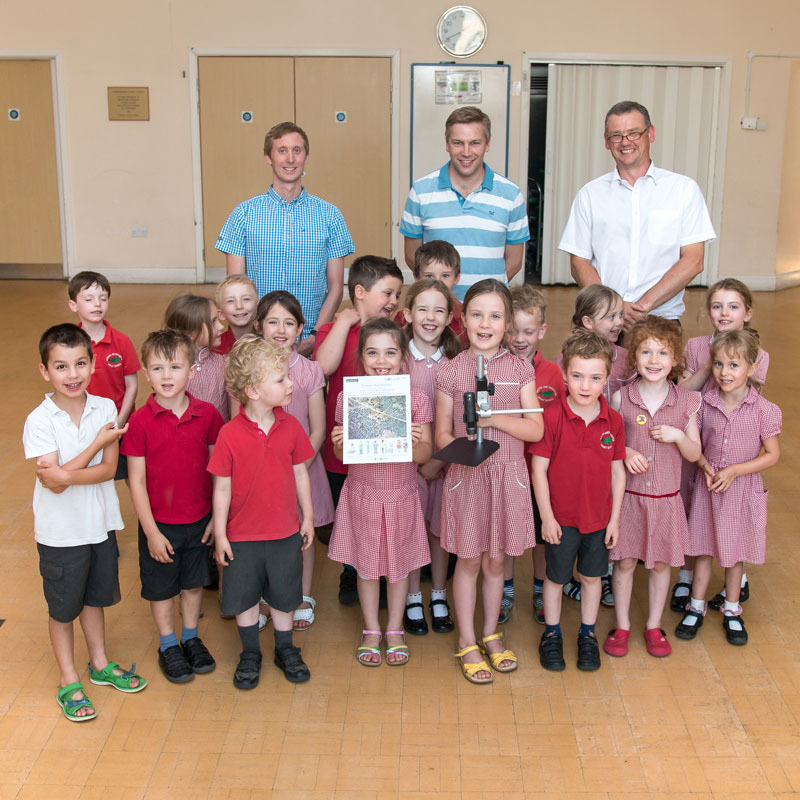 It’s great to hear how much the primary school children have enjoyed investigating the microscopic world. We hope the Science Image Award will help spark a long lasting interest in the living world and research”. The Science Image Award will be running again in the 2018/19 academic year. We are looking for sixteen primary schools to participate – please contact us at public.engagement@mrc-lmb.cam.ac.uk if your school is interested in taking part.